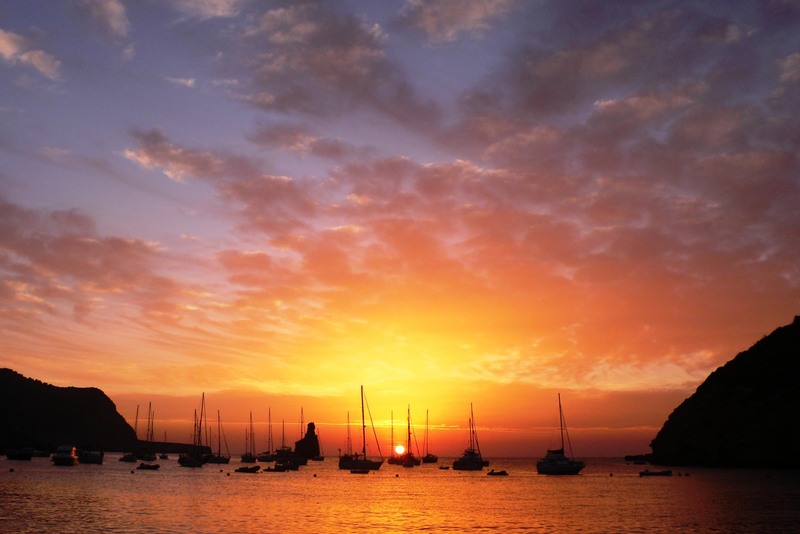 Ibiza, the White Isle as it’s known, is famous for being the party island of Mediterranean. 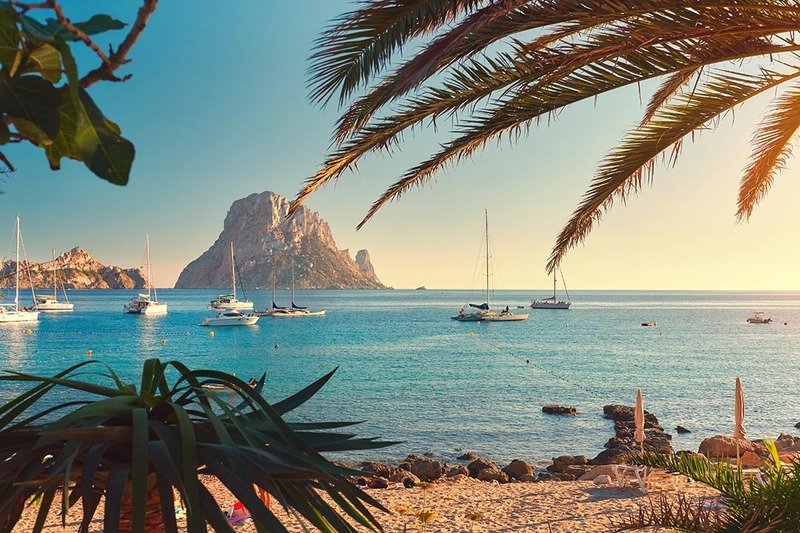 However, the majority of the island still has a laid-back vibe, and we’ll be going for a week of pure relaxation in Ibiza. Lounge on the beach as the famous Ibiza sun sets over the sea, explore the hippy markets and delve into the culture that was dominant in the 60s and still features heavily around the island today. 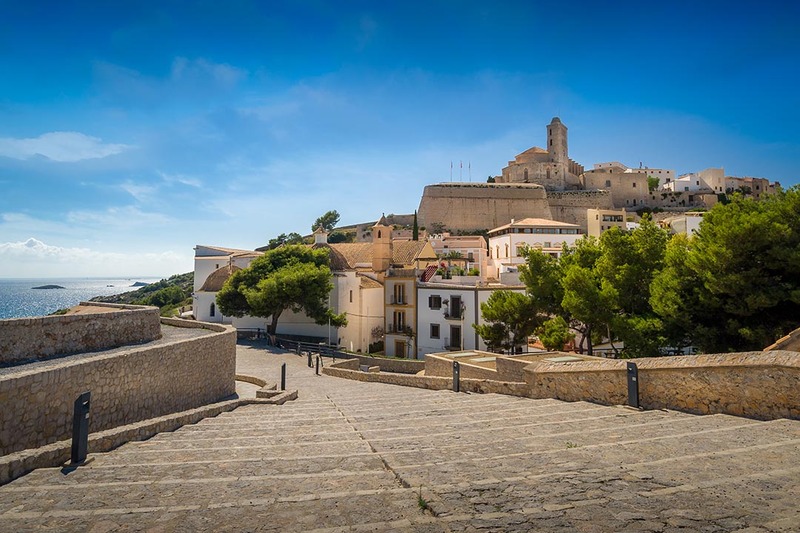 This small island also has a lot of history and we’ll discover that on a tour around Ibiza town where you can walk through Dalt Vila, the old town which towers above the coast. It’s all about relaxation on this holiday but if you do want to go to San Antonio, we won’t stop you – Café Mambo has a great atmosphere and great cocktails to match! Today we arrive in Ibiza and transfer to our hotel to begin our week in Ibiza. Our first day in Ibiza is spent relaxing; just the way Sundays should be spent. Relax on the beach or around the hotel pool where you can take advantage of the all-inclusive food and drink on this day! 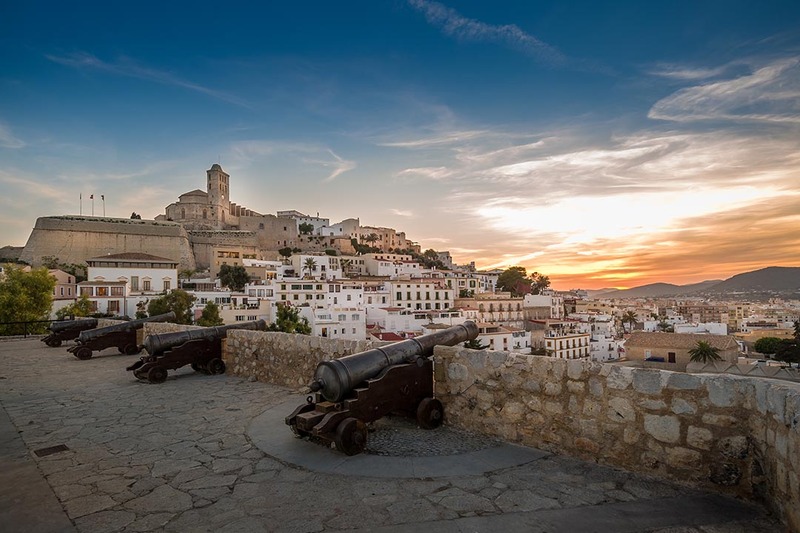 End the day by taking in your first famous Ibiza sunset – why not head to Benirras where you can experience the Sunday sunset drumming as the sun goes down? Breakfast, lunch and dinner included. Overnight in Ibiza. It’s another free day in Ibiza so make the most of it by chilling out by the pool and soaking up the relaxed vibe of this island. Today we go exploring to discover what this island is all about. 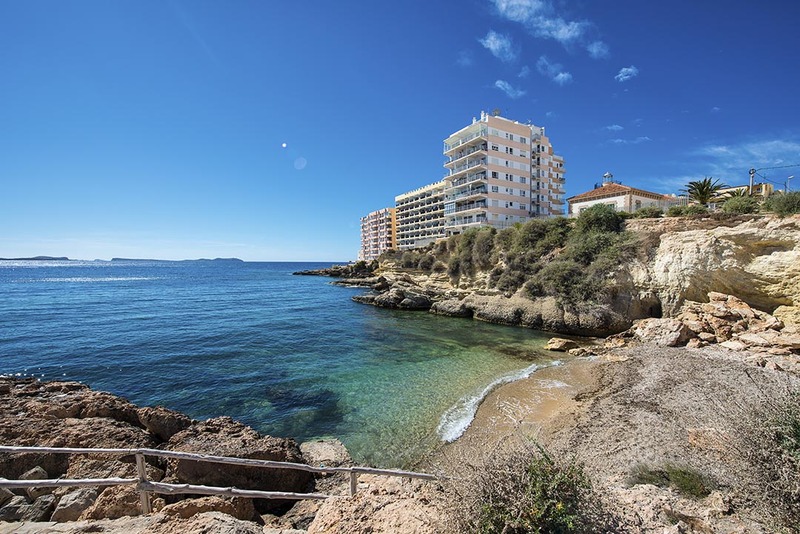 We’ll visit the gorgeous areas of Es Cubells, Cala Conta and Santa Gertrudis, as well as Es Vedra which is said to be the third most magnetic point in the world. 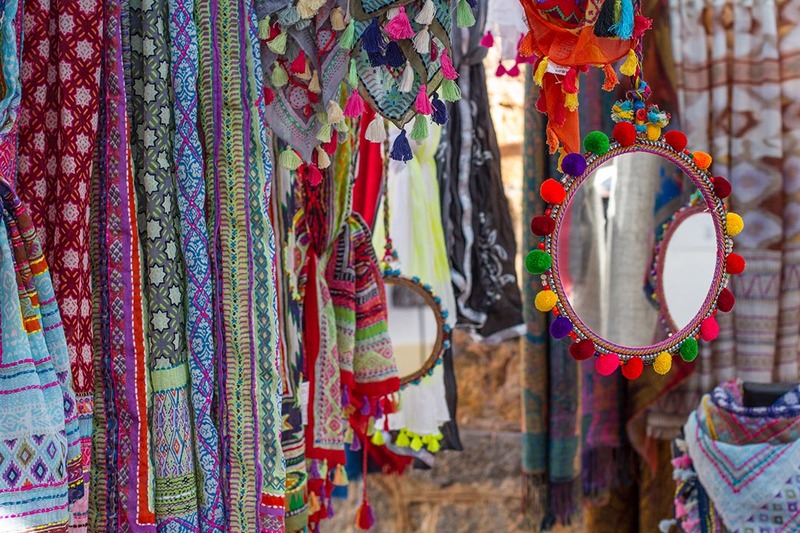 In the evening, we’ll go to Las Dalias Hippy Market where you can peruse the local wares hand-crafted by people on the island. After picking up a few souvenirs, kick back and relax with a cool drink as you listen to the music float through the warm air. Breakfast and lunch included. Overnight in Ibiza. It’s another day at leisure in Ibiza today – you may want to take a walk to the top of Sa Talia, the tallest point in Ibiza. 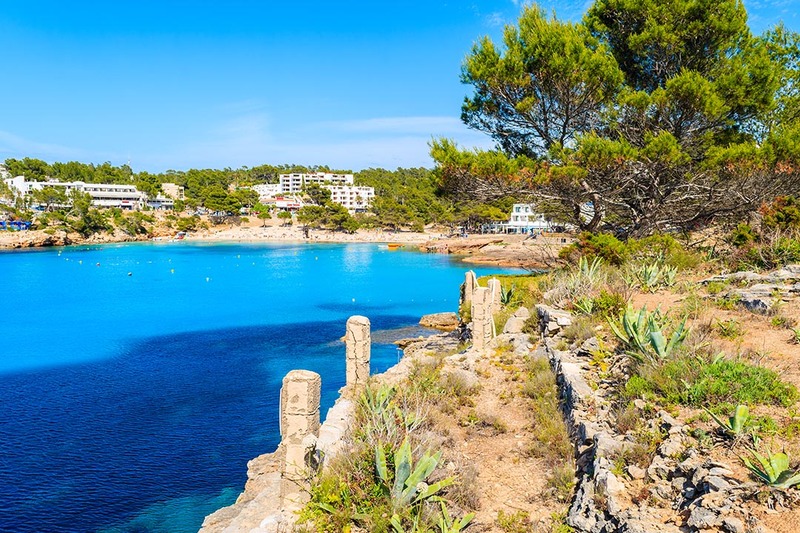 Alternatively, you might want to island hop over to neighbouring Formentera, an idyllic place which would not be out of place in the Caribbean. If you prefer to stay on the island, why not explore some gorgeous beaches such as Cala Xarraca, S’Arenal Petit or Cala da Sant Vincent. Today we’ll have a free morning before making the journey to Ibiza town after lunch. 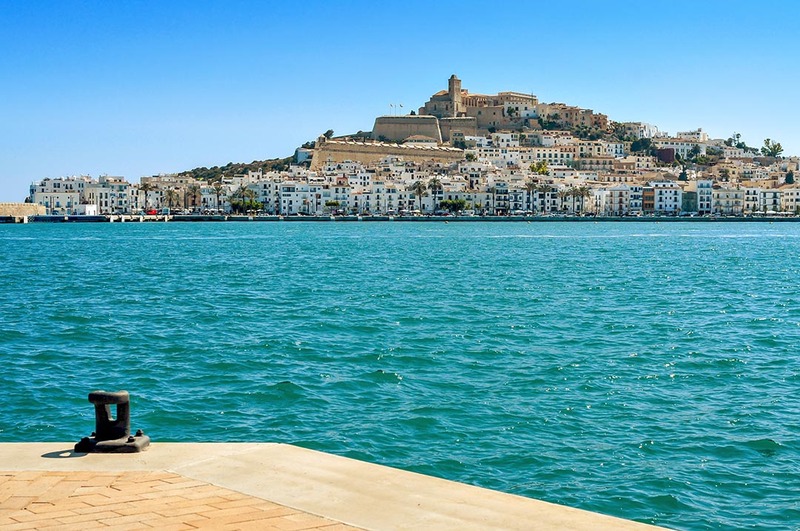 Here, a guide will take us around the island capital and Dalt Vila, the old town that imposes above the buildings below. 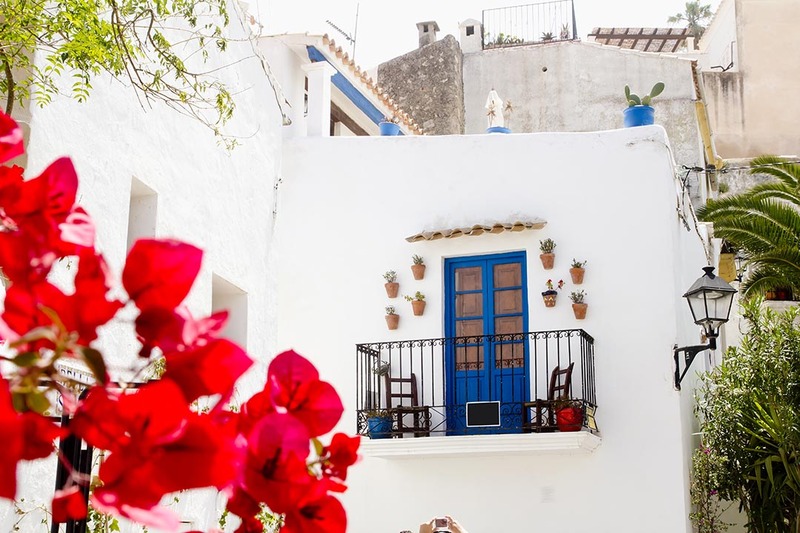 You’ll get the chance to learn about the history of the island as well as explore the port area and the discover the charm of the medieval city. There will be time for a bit of shopping or a refreshing drink before we travel across the island to San Antonio. This 30 minute journey takes us to the infamous resort that is well known for its party atmosphere in the summer. We’ll be going to the Sunset Strip, a part of town that is not so hedonistic but still provides plenty of atmosphere to experience one of the most famous sunsets in the world. It’s another day of leisure today – that’s what holidays are all about, right? If you’re feeling a little bit adventurous though, why not go parasailing in San Antonio? Head out on a boat from the harbour and fly up in the air above San Antonio Bay. It’s a rush to feel the wind in your hair, and the views over the island are incredible. Who knows, the skipper might even have a little fun with you and dip you in the water before sailing you back to shore. A must for those who want to experience Ibiza in a completely different way. After an enjoyable week on the White Isle, it’s time to go home feeling refreshed! We’ll transfer to the airport this morning and enjoy a short flight home.